There is no need to use a promo code or add the oil to your order. We will automatically include it with your order when sending it to you. Offer is for a limited time. Presenting an absolutely stylish and gorgeously eco-friendly line of Ultrasonic Essential Oil Aromatherapy Vaporisers and Diffusers which offer a unique 5-in-1 functionality that of diffuser,ionizer, humidifier, air purifier and night lamp! 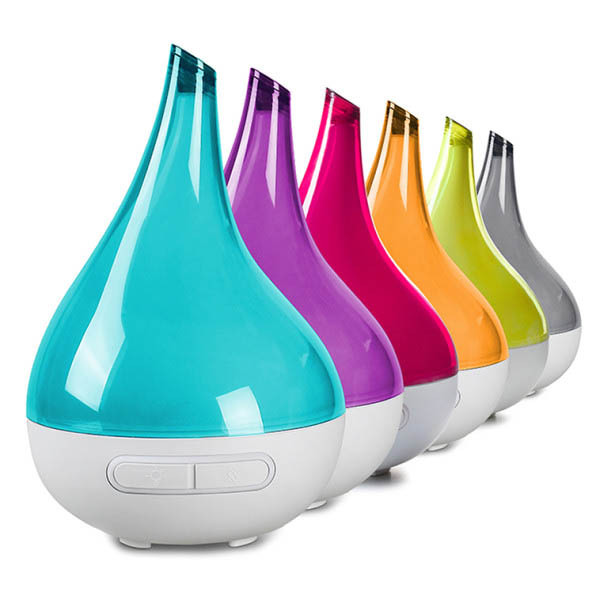 Why are Ultrasonic Diffusers/Vapourisers the best delivery system to diffuse essential oils? With the flick of a button, you can instantly fill your home, office or spa, with the aromatic and therapeutic benefits of essential oils. Your home will smell beautiful, and your overall wellbeing will be improved by breathing the essential oils via the fine mist. You no longer have to worry about naked flames, or if you turned off the diffuser, as it switches off automatically when the minimal water level is reached. Yes, these intelligent, energy-efficient ultrasonic diffuser does not use any form of heat, candle or naked flame, so it is even safe around children, the elderly and pets.The diffuser will automatically switch off once the water level reaches a low level (up to 4 hours for the Aroma-Joy, and 10/18 Hours for the NEW Aroma-Bloom). We actually encourage you to sleep with you diffuser on, and leave the diffuser operating when you leave your home, so you will come back to a purified environment. What are the benefits of sleeping with the diffuser/ humidifier on at night? Not only will the diffuser create a calming and relaxing atmosphere whilst sleeping, but you will be breathing in the therapeutic benefits of the essential oil in a relaxed state. What are the benefits of the Aroma Bloom and Aroma Joy Ultrasonic Diffusers over conventional oil burners/ heaters? 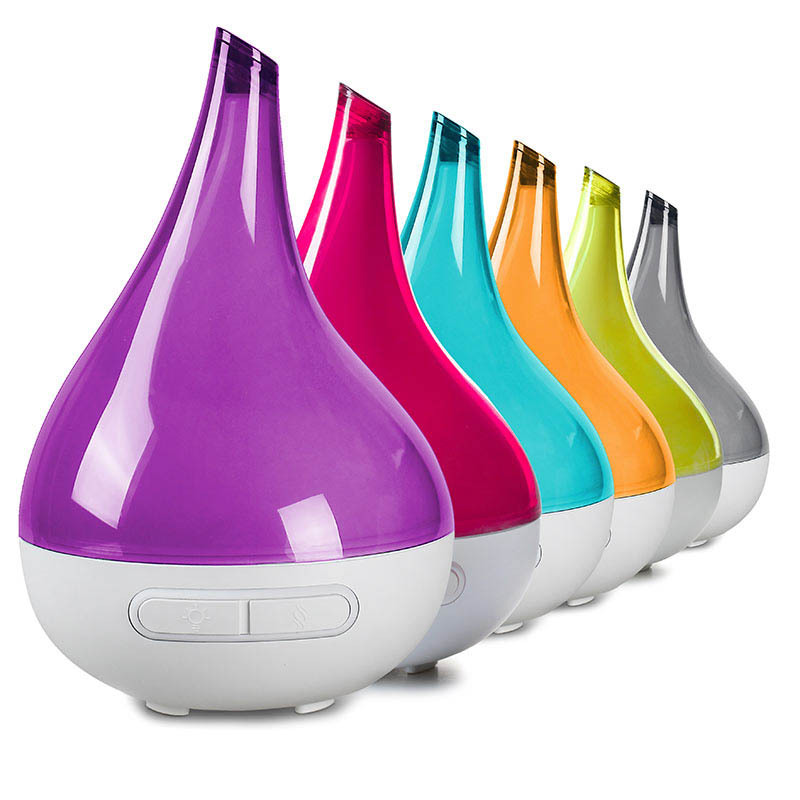 These ultrasonic diffusers do not use any form of heat to diffuse the mist/oil into the atmosphere. By heating essential oils you can severely alter the molecular structure and thus destroy the aromatic and therapeutic benefits of the essential oil.By using these ultrasonic diffusers, your essential oils will be kept in their purest form and the qualities of the essential oils will be enhanced by the high vibrations.You will also enjoy the 5 in 1 functionality- Ioniser, Air Purifier, Humidifier, Night Lamp, whilst diffusing your essential oils. What exactly is an Essential Oil Blend? A Blend is a term for our therapeutic synergies made from a number of complementary essential oils. Combining essential oils in this way creates a greater therapeutic dynamic than the single oils alone.Pure Blends that are professionally crafted with high quality oils offer a safe, natural way to support the body through many issues of imbalance and ill-health. They can also be created to enhance natural balance and compliment many areas of daily life. The end result is a concentrate combination of essential oils that smell divine and work wonders. Love this difusser. Pumps out heaps of mist and last ages. The kids use it as a night light too. We’ve owned our Aromabloom for about 18 months now. It’s used almost everyday and it’s just amazing. Absolutely love my aroma blooms! 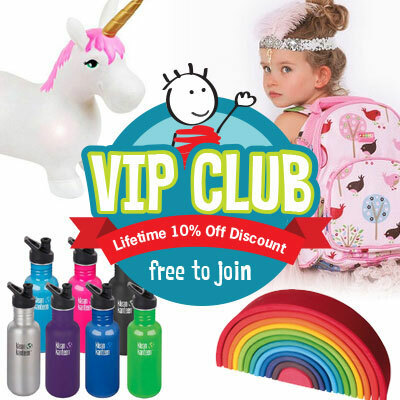 I recently purchased 2 more from this site.. finally one for me and one for my sons room! I now have 3 aroma blooms and 1 jewel hehe! I use all 4 every day/night. My son gets excited when I put it on and askes for it on every night! We love our Aroma Bloom so so very much! It is quiet, effective and beautiful! We will be buying a second one for our lounge room as this one is in our bedroom. Love this product but have found one small problem. I purchased my Aroma Bloom about 18 mths ago. I loved it so much I have brought it as a gift for a good friend who also loves it. I find some of the oils give me real energy (Vitality) and some help my children and myself breathe when we have colds (Breathe). It also looks beautiful. However as I have now had my one for some time I have found one problem. There is no information on how to clean the layer btween the cover. I dont want to force it open and break it. The cover has gotten moisture and marks between the layers and it does not look very nice. Not sure what to do about that, but still love my Aroma Bloom anyway. Not only a terrific product but delivered with terrific customer service and a very speedy arrival! I have a couple of diffusers but this is my favourite...long lasting and a good spread of diffusion across an open plan living area. Definitely worth investing in! Absolutely love this diffuser / vaporiser. Works so easily and is fantastic in my open living space. Highly recommend. I will definitely be purchasing another diffuser. They are fantastic! I now have 4 Aroma blooms diffusing in bedrooms & kitchen. According to sleep specialists the Orange light helps with good sleep. So its now my favourite. I accidentally ordered a fuchsia vaporiser for my nephew because he likes red, I then realised it was a type of pink. So I emailed limetreekids and request a change in colour. I was very happy with the speedy response and they changed my preference to lime green. He loves his new green night light, thank you limetreekids. My 6 year old daughter started having nightmares and would frequently wake during the night. She also stayed awake for long periods after going to bed. We bought one of these Vaporisers to try to help her sleep and are amazed by the difference it has already made. We use the 'Dream' essential oil in it and she falls asleep straight away and back to sleeping through the night. We have previously used the Vicks Vaporiser for our young son but this is so much easier to empty, clean and refill. She also loves the soothing night light. It was definitely worth the extra price and would strongly recommend to anyone considering a purchase. We live in Perth and our order was received in less than a week. Thanks so much ! I love my Aroma Blooms! In fact, I've just purchased my third, and we now have one in each of the bedrooms, and in the lounge room. We use ours year round - not only are they perfect during the wintery flu season, we love to diffuse our favourite essential oils to help us sleep, for relaxation, and purely to enjoy the ambience and health benefits of essential oils. The Aroma Bloom has so many features, the main one being the lengthy timer functions (far superior to many diffusers on the market). They look beautiful and the optional light feature makes it very practical for families. Well worth the investment! I have now purchased 2 of these. My first I used so much I think "it died of exhaustion"
Having a son with ENT issues & using the old style vaporiser/humidifier they left the roof full off condensation which created more issues. These little beauties not only not leave any condensation, it uses only a cup of water for the entire night & has the little night light as well. I've recommended these to many friends & they too have purchased them & love them as well. I will never waste my time with a big and bulky vaporiser ever again. This is so easy to use and so simple. It uses such a little amount of water and when using a couple of drops of oil it makes the room smell amazing. The added night light is also a huge reason why I chose this one. Excellent product! Excellent custom support! We are very happy with this product. We chose the pink colour one which my wife likes the colour. We are now making the our bedroom bright and enjoy nice sleep. And we don't forget their excellent customer support. We had a problem with existing one. But they handled the problem very quickly. If you are looking for a vaporiser, you should go with this!!! Best product and best customer support. This is the best product. we can now sleep peacefully with the subdued lighting from the vaporizer. And I also have to mention their excellent customer support. we had an issue with the existing one but they rapidly replaced with new one. If you are looking for a vaporizer, I %100 guarantee this product! I love this so much. No more condensation on the windows (or at least not so much! ), no mould forming around the windows, the air doesn't feel like a gross, hot sauna, like regular vaporizers. You feel the moisture in the air and the dryness is all gone, but it still doesn't have that horribly damp feeling. You can set the light at multiple brightness levels. The vaporizer lasts all night on the intermittent setting. It's very quiet but has a soothing bubbling noise if you listen carefully. It has auto shut-off when it's empty so no worrying it's going to burn out. My two kids both get horrible asthma every time they're sick and this arrived just as they fell ill. They weren't up all night coughing as much as they normally do. I really believe it helped. Extremely happy with the 5in 1 bloom vaporiser. My son is scared of the dark so it works as an awesome night light but also helps with their chest infections and flue. My son says he feels fresh every morning it's on and has the best sleep. Much better product than any other vaporiser. No more wiping down walls and windows of condensation and no mould spores created! I love that the kids can't get hurt or burnt.. I Evan put my finger in the water after a while to make sure incase my curious almost 6yr old autistic daughter tried and not hot at all and no burns ect. Wish I knew about this product a lot sooner. No trying to fight the urge of buying a second one haha! I purchased 2 of the Aroma blooms. One for myself and one for my sister in-law. I love the simplicity and ease of using this product. Cleaning is also easy! I use it around the clock, during the day just to give the house a nice scent and at night to help with coughs, congestion or easy sleep. Mine stopped working a few months ago and Lime Tree Kids returned it with ease and sent one back to me. I highly recommend this product and more so buying from Lime Tree Kids. The service I received was outstanding, the Aroma Bloom arrived within a few days, it is so quiet and peaceful and look fabulous. Using it every day and I am in love!! Every visitor to my home has now purchased their own. Highly recommend this diffuser. Very fast delivery from limetree kids. Really loving this product. I love that you can just use it as a night light without having to use the diffuser. Love the different light settings and that you can use any type of essential oils. Leaves the house smelling beautiful. ?? Amazing service as I needed this for a birthday and received in Perth within three days! Diffuser is beautiful to look at and most functional as well, a really good product, highly recommended. Thanks for your personal service Dawn! Honestly the best, new product I've come across. Great design. Great function. Great technology. I'm so excited about this product and have recommended it to so many people. Worth every cent. Thank you! I bought 4 of these and 2 where for friends. My first diffuser would run out every 3-4hrs which was a pain, this brand last so much longer. Im so in love with my new diffuser, especially the colour range. I think I'm going to purchase another 2 for the house......thank you so much! I Love the Vaporiser as it looks great and is very quiet. I really like the adjusting night light as it means I can dim it when my son falls asleep. Easy to use. My whole shopping experience was positive. The customer service team responded to my message within a few hours and were very friendly and knowledgable about the products. My purchase was received within 3 days. Thank you for your prompt and efficient service. My other vaporiser was ugly and bulky, this is much prettier and takes up far less room. It is quiet and I like the intermittent mist option for diffusing eucalyptus oil to help with my little one's cold. Happy customer! Worth the money. Quiet and super easy to use whilst looking stylish. Its also a great night light! I totally recommend this product. Worked great for my little congested man at night. Definitely noticed the difference since using it in his room with the sniffles oil. I love the Aroma Bloom! So simple to use, very efficient but most of all I love that it is safe to have on the floor in the kids rooms (does not get hot) and it does not leave the walls and windows wet like the Vicks Vaporiser. My little girl had trouble breathing one night due to a bad head cold...I turned on the Aroma Bloom and within minutes she stopped coughing, could breathe easier and we all had a peaceful nights sleep! Every family with young kids should have an Aroma Bloom. Very impressed with the aroma bloom! 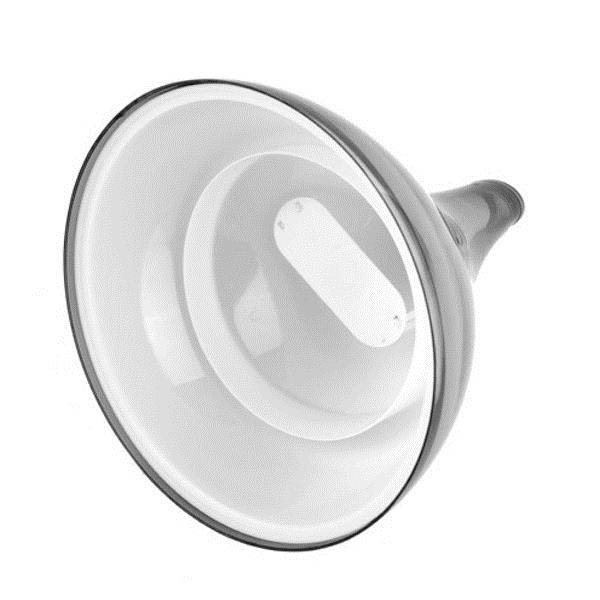 Quiet, easy to use, the light is great for a night light and it runs all night! A much better alternative to the normal Vicks vaporiser! Can't wait to get another one! We have several of the older model from ultrasonic and I was hesitant to buy the bloom as it looked too modern and flimsy. I am very impressed with the vaporiser and the light graduation is a hit! We only use them for allergy relief and flu season but every room wants a bloom now. Also purchased one for a friend and she's very impressed too. Curious son spilt water exploring it this morning when he awoke but all is cool to touch and the cord is cleverly hidden so no problems. I bought two of these, the fushsia and turquoise colour for my girls. i orginally had a vicks humidifier purchased from the chemist which would heat the room up and my girls would end up sweaty and it also was loud. The bloom is great it's quite and doesnt heat up, it feels cool but with a slight warmth to it. very safe for kids. it was smaller than i expected it to be about the size of a formula tin in width and just slightly taller. A great purchase! This is the 2nd vaporiser we have purchased from Lime Tree as we absolutely love the pink one for our daughter's room & hubby & I wanted one in our room - especially with our allergies & winter cold season approaching. They are on each night! Love Love!! Really like the vaporiser. Its super quiet and lasts through the entire night at the maximum water level. Night light is very soothing also. Not at all too bright for the children's room. This is a fantastic vaporiser! I have left it on overnight a couple of times while my kids were sick, and love how it automatically turns off when the water level is low. Currently using it as a night light, which is fantastic as you can adjust the brightness. Purchased this after borrowing a friends. I've never used a humidifier before, thinking they were big, ugly and made the walls all moist! This is terrific, works beautifully, no residue and looks fantastic. I use it all the time, for my kids and myself in the cold and flu season - highly recommended. The Aroma-Bloom diffuser is my daughters new favouite part of her bed time routine. Not only does it help with her breathing, sniffles, and ezcema it gives her comfort knowing she has something special to help her sleep. This built in light is not only pretty (we have the pink) but also practical in helping me check on her during the night. We love it and will soon be purchasing another one for my son who can't wait to have one to even though he doesnt suffer from anything. I bought this for my son after her gave himself a mild burn from touching a conventional steam vaporiser. Perfectly safe to touch for little curious hands. It's great to use when bubs has a congested nose and chest, lasting all night. The light function Is great to use at night without waking little ones. When not using it for my son it takes pride on my buffet with essential oils to subtly add fragrance to the house. A bonus is that it's much better looking then steam vaporisers and uses remarkably less water. I love it! This vaporiser is most definitely the best on the market at the moment. It doesn't get hot so little fingers are safe from burns and it's incredibly stylish. I love that I can dim the light within the vaporiser and leave it on all night - makes night feeds easier as I'm not having to turn on any lights! When I'm not using my 'sniffles' oil blend to cure the kids of their runny noses, I pop in a few drops of frankincense and the whole house smells amazing. Awesome product!! Perfect for a baby shower gift!! I bought this for my youngest son's room to use during the cooler months to help with his asthma and eczema. I love the fact that the vapour is cold and so I know that his curious little fingers will never be burnt. It helps a great deal with his breathing and I find his skin does not dry out as much. I also find the night light option really useful if I need to check on him in the middle of the night. I would recommend this product to any one regardless of illness or not. It is a really functional and practical product that looks great too! I love my Aroma-Bloom diffusers, so easy to use, runs through the whole night, without any build up of condensation left in the morning. I now have a pink one for my daughters room and a teal one for my sons room, and a grey one in the living room (we have a big house). We find it certainly helps us all to sleep better, and we haven't had a cold in the house hold since using them. I love the fact that they are so easy to use, as even my elderly mother in law whom looks after the kids a lot, can use them very easily. Definitely the best purchases I have made in ages! After trying a friends vaporiser from a different brand I was horrified at the noise it made - not great for a babies room. Finally got around to purchasing one of these and haven't looked back. It is quiet, does a great job and is not bulky in the room -you don't even notice it. Firstly, this thing is so darn gorgeous, I almost don't care if it works! It does work. My son has had the flu this season and was so clogged. I had it running alllll day every day and alllll night, with a few drops of eucalyptus and lavender, and miracle of miracles, he slept. I got him the fuchsia one because I liked that colour, and also cos I am one of 'those' people trying not to assign a gender stereotype to a particular colour. It seems to run forever on one load of water and the added safety of it not pumping out hot steam is a bonus. Get it. It's PRETTY. Love this item! I couldn't believe how long it lasted and how amazing it made my house smell. Am seriously considering buying 1 or 2 more! I love how quickly the vaporizer scents the whole house let alone one room. I love how easy it is to use, it's so simple to fill with water add a few drops of essential oils, turn it on and away you go. And I like that it illuminates the whole room with its gentle light which is also helpful for remembering to turn it off. I have ours in our open dining/kitchen area usually or in the kids room when they are sick. I will definitely be buying another one soon. I absolutely love this vaporiser. Its quiet, doesn't cause humidity or condensation on my walls. Doesn't look like a vaporiser and suits my décor. I would definitely recommend this product to anyone, I have done so a few times already. I was impressed with how well this vaporiser works. My 3 year old son had a nasty chesty cough. I set this up in his room & he slept soundly all night, for the 3 nights I had it running. I will be purchasing a second one, as I don't want to have to choose which child is the sickest one & gets to have it in there room! I was so impressed when I first used the Aroma Bloom diffuser that I ended up purchasing another two! They have a beautiful sleek design that isn't in your face or too big like some diffusers. It takes a minimal amount of water and it lasts all night (or day) without the need to top it up. The lighting can be turned on or off. My son uses his as a night light, whereas I have my light turned off at night. 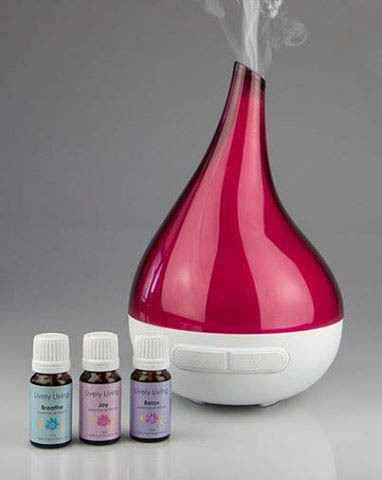 I love the fact that I can use pure essential oils it in unlike a lot of other diffusers/humidifiers. Very happy with the diffuser and I highly recommend. Love this product and so glad that I decided to purchase it. Have had it running everyday. Safe around the kids and cats. Don't have to worry about flames, heat or it running dry. I purchased a Lime one. Great mood lighting. Wish I'd bought this sooner. It really does work and is whisper quiet. We use it in the lounge when it's not being used for our toddler's frequent sniffles. Recommend! We did like this product. However, we did buy it for its humidifying function and it doesn't really humidify like our old mainstream humidifier. We didn't find that it helped our child's cold (less interrupted sleep, not as congested the next day etc) as much as the mainstream humidifier did, even using the Sniffle's oil blend in it. 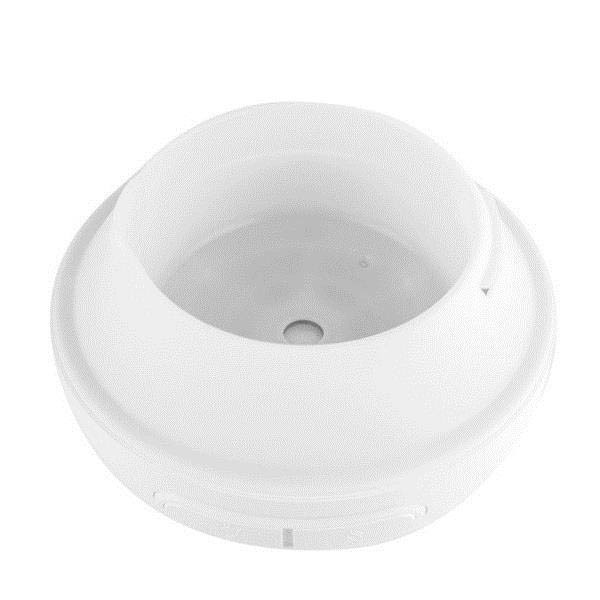 While it is easy to fill up, the lid comes off easily and could be easy to knock over. When I took the lid off, it usually leave water droplets around where it is sitting. I bought the fuchsia bloom because I wanted to be prepared for the winter colds with my 6 month old daughter and I absolutely love it. I was deciding between the other ultrasonic vaporiser and this one and the customer support from LTK was so helpful. I needed to buy a night light for her room and I love that this is not only a vaporiser but a perfect night light as well so it has already saved me money. It is the perfect night light. Perfect vaporiser and humidifier. I have used lavender essential oil in it to help her sleep and the sniffles blend also works well. It looks so nice in her room especially of a night. I was a bit unsure about this but after buying it all I can do is recommend it. It works really well, attractive to look at and really makes a difference to our sleep! I am considering getting another one. I loved the look of these and ordered one to give them a go when they were on special. It has been the best purchase ever. I love that you don't need to constantly refill and that it shuts off automatically when it runs out of water. The light function is perfect as a nightlight for my 2 boys as it isn't too bright and can be adjusted. They also look great. Now I want one for me. I love these diffusers. I bought one and then another. I like both colours I purchased. They go all night and are really quiet. Thank you for offering such a good product line. What a perfect gift idea for a new mum! Simple to use and looks great in the nursery. Wow, what a wonderful product I wish it was around years ago when my children were growing up. My two daughters have them for my grandchildren, seeing what this product does in their houses I brought one myself. It not only helps with my asthma, but allows my house to smell wonderful at the same time, the light is also a great idea. One product that does so many things. Years ago we had those awful big awkward vaporisers that would cause water to drip off the windows, so actually made the rooms damp. I would recommend this product to anyone it does not look out of place in any home or any room. I LOVE this product, I have bought 2 of them and would love more. After purchasing so many candle burners, electric burners, room deodorizers, automatic sprays over the years, this is so much superior to anything I have ever tried!! It is so easy to use and clean, and needs only 3 drops of EO/FO oils to have long lasting fragrance. I use it continuously and will continue to do so. If you are considering it I say definitely give it a go, you won't be disappointed! I'm 25 years old and have been using this product every night for the last 3 months and it is amazing. I am sleeping so much better!! I actually thought it would have broken by now with so much use but it keeps on going and going! I would recommend this to anyone with kids, allergies etc.. It is worth the investment for a healthier and happier lifestyle. I fell in love with this product after the first 5 minutes of it being on! Firstly it's a beautiful machine to look at, when not in use its so cute it doesn't need to be hidden away in a cupboard, and when it is on.... Wow! It's easy to use, and so quick to get set up. It lasts all night and many hours into the morning on interval setting which is more than enough for bubs room, when empty, it switches off. The steam is cool to touch and unit doesn't get hot or even warm when on either, great for curious fingers! In all, i would recommend this product to anyone and everyone and will be buying more for all over my home! I resisted buying one of these for ages then finally my husband got me one. Aren't I glad he did!! Quiet, effective and love the safety features. Love this machine! I bought a cheaper one from another company and it is noisy and the buttons have lights that stay on and keep me awake all night, never again will I try to get cheaper products! We are very happy with this product. Purchased two lime green ones for a 2yo and 4yo bedrooms. We previously had a Vicks vaporiser. This product is much easier to clean, a lot less water used and hence easier to fill, no more drips/ mess/ condensation. It is a lot quieter then the Vicks vaporiser, but still makes a soft trickling/ dripping noise. My 4yo was scared of the noises from the Vicks Vaporiser but is fine with the slight noise from this product - this could be an age thing though because our 2yo is still a little unsure of this product. If you need a vaporiser/ diffuser and have the extra $ to spend, I would not hesitate recommending this product. So beautiful to look at, the mood colours are peaceful, the cleanliness in the air is amazing when its on and the aroma that slowly flows out is perfect for the bedroom as I fall to sleep.